I grew up in a fast food family. Getting dinner from a drive-thru was a regular occurrence. One of my family’s regular go-to’s was Foster’s Freeze (we had one a few minutes from our house), where my mother would always get a large order of taquitos. Of course, these taquitos were completely not vegan, being made with beef and deep-fried. I always looked forward to the one taquito that she would share with me. While they’re not my favorite food, taquitos have long since held a special place in my heart, right along with the soft-serve ice cream cones I would always get from FF, and I have a hard time turning them down. Though now, I only eat vegan taquitos (and vegan soft-serve ice cream). My newest book, But My Family Would Never Eat Vegan!, addresses family-related excuses to not eating vegan and has several chapter dedicated to various family get-togethers that often involve food. 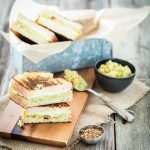 One of the chapters is dedicated to Game Day eats, filled with vegan recipes that will satisfy both omnivores and vegans, letting them enjoy the game without stressing about what foods to eat while you watch. 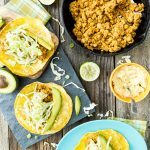 When choosing recipes for this chapter, taquitos seemed like a logical choice, since they’re great finger foods, fun to dip, and universally liked. For these taquitos, I chose to go with one of my all-time favorite things- mashed chickpeas and avocado- for the stuffing. I also wanted to steer-clear of deep-frying (though you could totes deep-fry these, or maybe even air-fry them in an air-fryer like all the kids seem to love doing these days) so these taquitos are baked. By spraying them with oil before baking, they get that nice, crisp crunch with every bite, without all the grease. 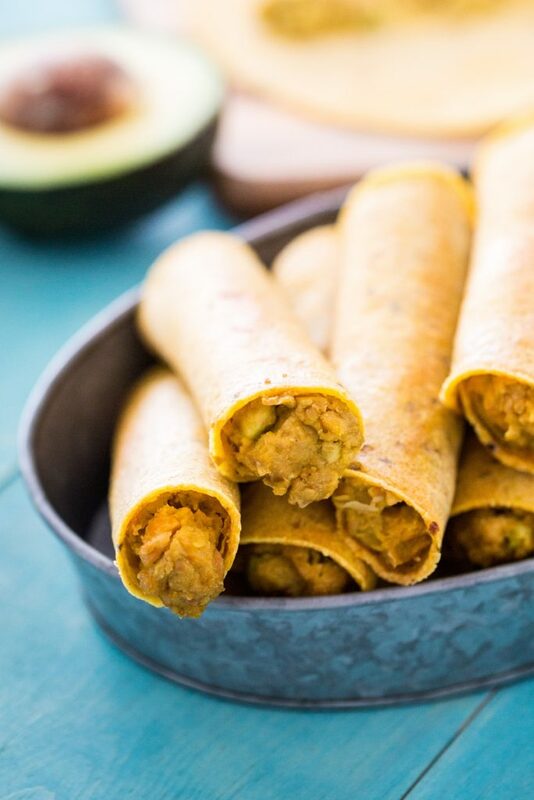 Bonus: these chickpea and avocado taquitos are quick and easy to whip together! 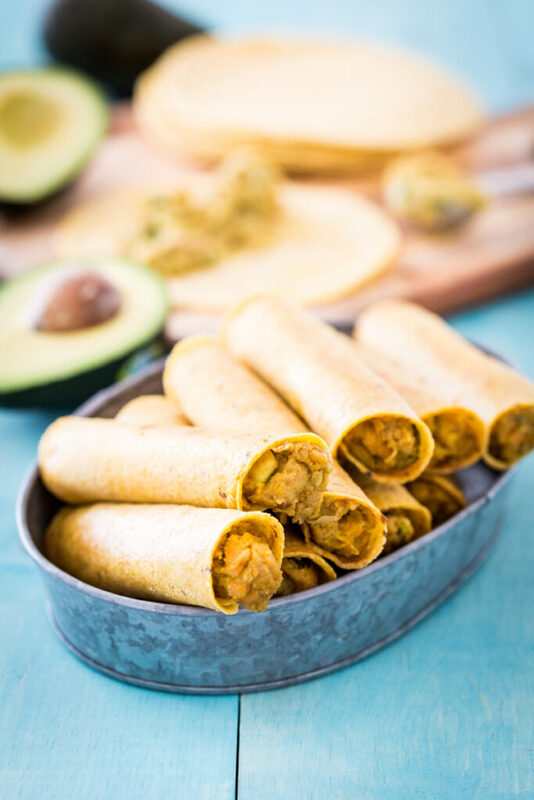 If you’re looking for a simple, delicious, and healthy addition to your Super Bowl menu, look no further than these taquitos. I know they’ll be making an appearance on mine- I can never say no to these guys! Preheat the oven to 350°F (180°C). Line a baking sheet with parchment paper or a silicone baking mat. Heat a large frying pan, preferably cast iron, over medium heat. Add the chickpeas and liquid aminos and cook, stirring occasionally, until all the liquid has been absorbed. Remove from the heat and let cool for 2 to 3 minutes. Use a potato masher or pastry cutter to mash the chickpeas into small pieces. Scoop the avocado flesh into a large bowl and mash until smooth but slightly chunky. Add the chickpeas, lime juice, green onions, yogurt (if using), ancho chile powder, garlic powder, salt, and pepper. Stir until combined. Heat a frying pan over medium heat and heat the tortillas, one at a time, for 30 seconds on each side, until soft and pliable. Stack them on a plate and cover with aluminum foil while you cook the rest. Lay out 1 tortilla and spread about 3 tablespoons of the avocado mixture down the center. Roll into a tube and place it seam side down on the prepared baking sheet. Repeat with the remaining tortillas and filling. Spray the taquitos with olive oil and bake for 10 minutes. Flip the taquitos, spray them with olive oil again, and bake for another 10 minutes, or until crispy. Serve immediately with your choice of dip or salsa. Tip: Thin corn tortillas work best for these taquitos. Steer away from ones that say “handmade,” as those are generally thicker and more likely to crack when you roll them up. Recipe from But My Family Would Never Eat Vegan! : 125 Recipes to Win Everyone Over © Kristy Turner, 2016. Reprinted by permission of the publisher, The Experiment. Available wherever books are sold. On another note: Do you love your copy of But My Family Would Never Eat Vegan! ? If you do, would you mind leaving a review on Amazon? I would sooooooo appreciate it! Thanks so much! 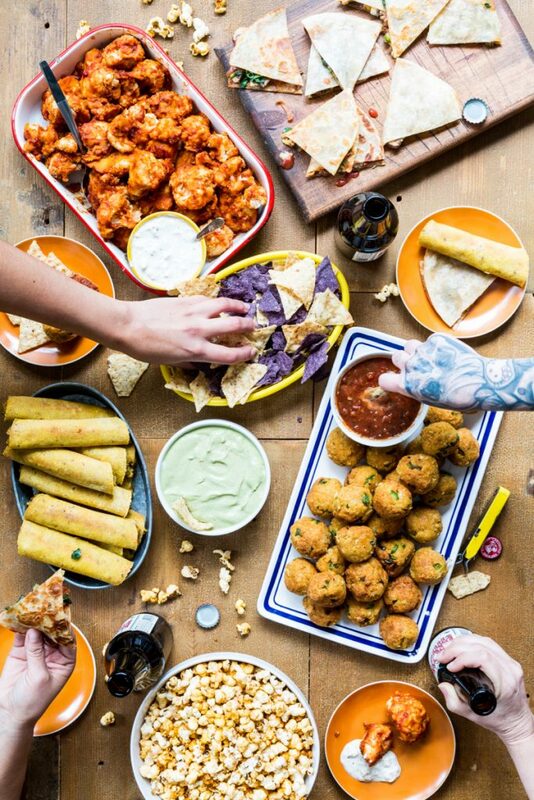 What’s going on your Super Bowl menu? 12 Responses to "Chickpea Avocado Taquitos"
Oh, man! These sound awesome. I never thought of making vegan taquitos before! I’m definitely going to make these! Even though we never host a Super Bowl party (because I’m a total introvert and the idea of having a house filled with people gives me the cold sweats…) I would totally sit all alone and eat these, Kevin McCallister style. “A plain cheese pizza all for me!” but better because it would be vegan taquitos. YUM! I’ve recently become addicted to chickpeas, so this is right in my ballpark. Oh Man my husband would swoon if I made these. Swoon. Maybe I’ll make them for Valentines. Maybe cause I love him. Wow, these look amazing, and what pretty photos. Will DEFINITELY be trying these. Love Mexican food, and miss so much of it now I’m vegan. But these could hit any spot 🙂 Thanks!! I’m wondering how these would travel to a Party? Reheat once I got there? Sorry for the late reply. These are best straight out of the oven, so I would make the avocado mixture before the party and assemble and bake at your friends house. hey, this sounds simply amazing! ever since i’ve been to the US i miss hummus like crazy, we don’t really do that here in europe. i recently made it though and posted the recipe on my blog. 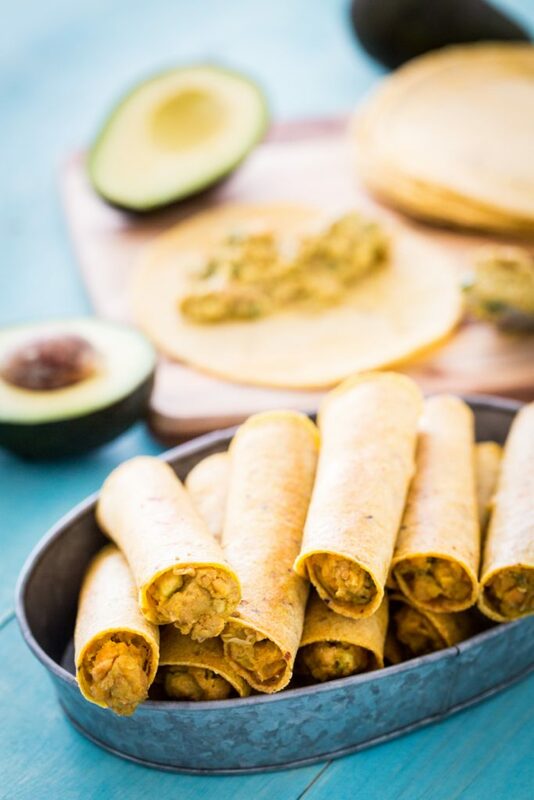 never though of making taquitos with it, but already working on my grocery list, will definitely make them next week, thanks so much for the recipe 🙂 if you ever need new inspirations for more vegan recipe ideas, i’d love if you stop by at eatwholegreens.com to explore more vegan awesomeness! These are a regular at our house. They have also gone into regular rotation at 2 of my co-worker’s houses as well. So far all of the recipes from this cook book have been phenomenal, but this is my favorite by far! Just put these in the oven and realized I didn’t use coconut oil listed in the recipe. I reread the recipe twice and none of the steps refer to the coconut oil? Am I missing something? It’s totally fine without the coconut oil. It’s a typo. I’ve removed it from the ingredient list. Thank you for the heads up!